Today at LG's CES press event, one of the more intriguing announcements was the fact that LG is bringing its rollable OLED TV technology as an actual product later in 2019. 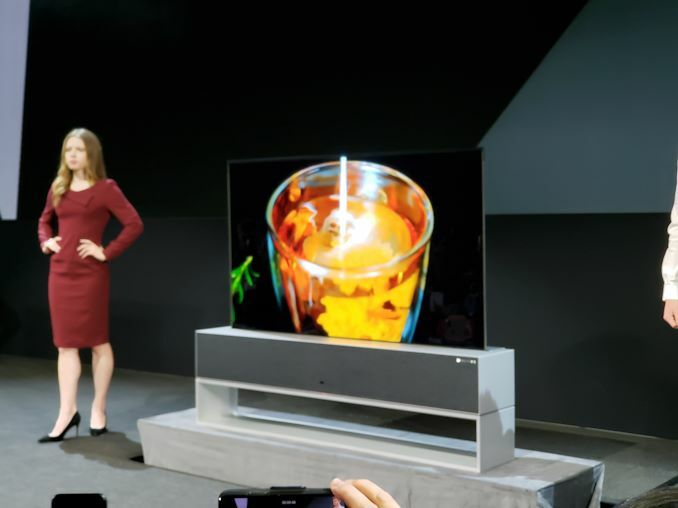 The TV consists of a large base stand which represents the audio system as well as the innards into which the actual OLED panel can roll itself down into. 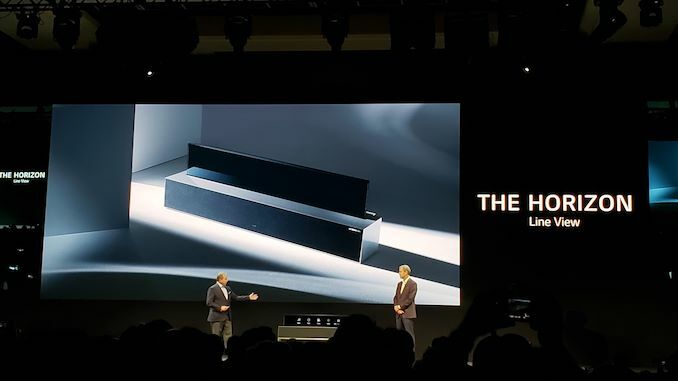 The panel is of 65" dimensions - we currently don't have any more information about the technical specifcations of the panel, other than it is seemingly powered by LG's newly announced second generation Alpha9 SoC. The OLED panel has a window-blind like back that is able to fold into a cylinder within the base. LG here offers three uses: A traditional full-screen "Full View" experience with the screen fully rolled out, a partially rolled out mode where only a third of the screen is rolled out, showcasing only essential information, called "Line View", and finally a mode in which the panel is completely hidden "Zero View", in which the TV stand solely serves as an audio device. LG has only announced that the product is coming later in 2019 - we'll try to see if we can get further detailed hardware specifications.